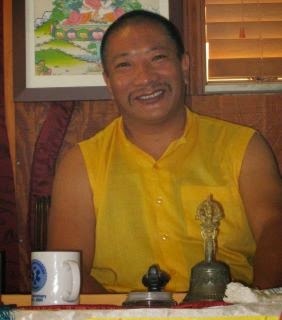 Drupon Rinpoche is the spiritual director of Drong Ngur Jangchubling, a Buddhist center in Wesley Chapel, FL. Rinpoche has completed many retreats, including the three-year retreat on the Five-Fold Path of Mahamudra and the Six Yogas of Naropa. Based on his accomplishments, H.H. Chetsang Rinpoche bestowed him the title of Drupon (retreat master). We are delighted to have Drupon Rinpoche teach on the Yangzab Ngondro, which contains the complete outer and inner preliminary practices of the Buddhist path. The Yangzab Ngondro is the gateway to the vast Yangzab cycle of teachings and practices. These teachings are available to anyone regardless of prior experience. Preregistration is encouraged. To preregister, please send an email to ddc.florida@gmail.com with your name and the events you plan to attend. The suggested donation is $20 per teaching/practice session or $85 for the whole event.